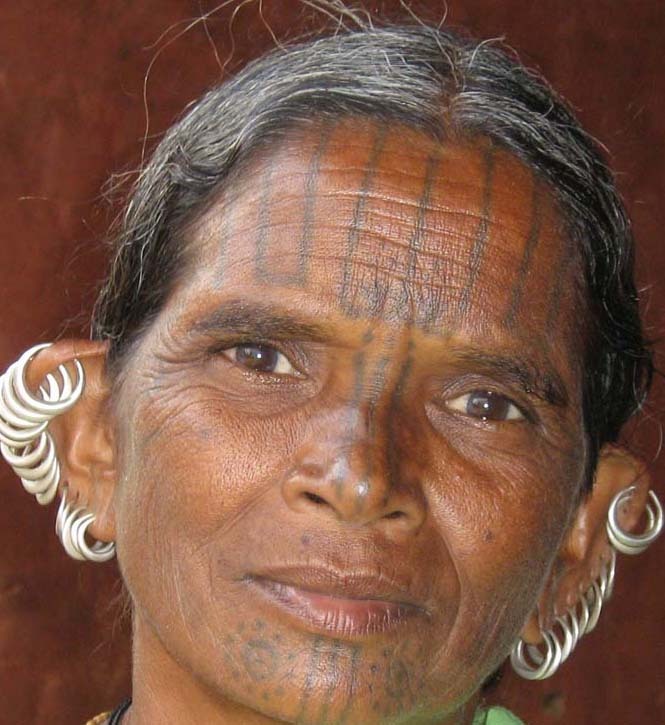 Sustaining a livelihood is a challenge the adivasi's face in everyday lives. Here we present some of their hard put survival efforts. I am Jamuna Kirsani the Seed Mother of my village Mauliguda in Malkangiri. 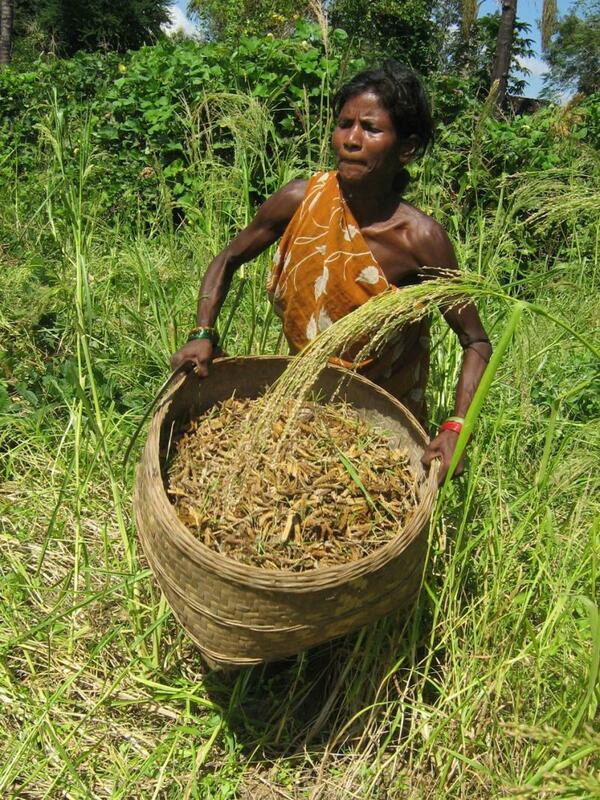 Like me there are more than 70 adivasi Seed Mothers working in our locality to collect, conserve and propagate the local traditional seeds. We take care of our local seeds as we take care of our children and family. Women are best skilled to nurture the seeds. Seeds are our life and our identity. The knowledge around our local seeds and farming systems are travelling from one generation to the other and we experience it through our day-to-day life. We never buy seeds but exchange with other farmers. Our seeds were evolved through our intense resilience efforts across generations. Now I have more than 61 varieties of Paddy seeds and 123 varieties of pulses, tubers, oil seeds, domesticated wild food, vegetables and greens. I have learned from visitors (and also attending various meetings outside) that our region is highly eco-diverse as well as one of the birthplaces of Rice. Our forefathers were agriculture pionner communities who domesticated and gifted Rice to this world that is the staple food to more than half of the global population today. Why we allow our own seeds to vanish. Who will protect our forests if the local seeds are lost? Sabita always attempt to do something for her village and more on their basic needs. Buying cloths has always been a real expense for the cash poor families of her hamlet when she learned stitching on a swing machine from a friend in a neighboring village. She used to help families to stitch their sleeping cotton mattress using the old cloths. The young girls would always ask her to do the repair of their dress. However, she could never procure a swing machine. Now with her dream machine with other supports Sabita earns around 200 to 350 rupees in a week doing the odd stitching work in her village. 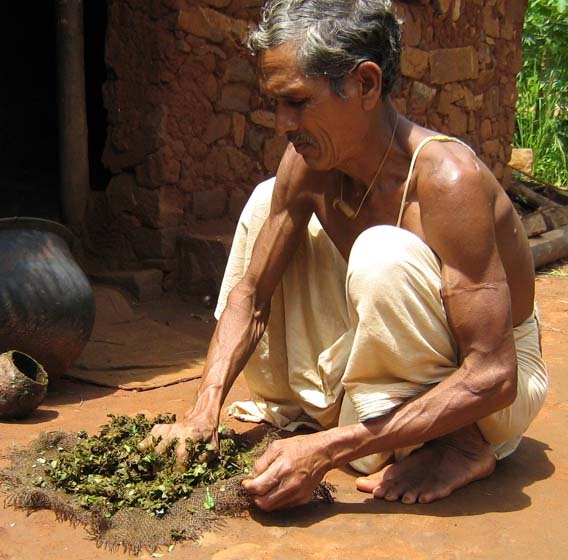 Mangu Adari aged about 35, lives in Gudumpadar village under Biralaxmanpur GP of Malkangiri District. His 70-year old mother & 20-year old younger brother Siba Adari lives with him. He has a pair of bullock, two cows and 4 acres of land. Mangu’s wife left him just after a year of marriage and got married to another man. Though Mangu possesses reasonably a large patch of forest land, he lives in condition of extreme poverty. The family owns about 4 acres of land which is non-productive. His house is a small mud cottage, almost all the harvest is meant for home consumption and some of non-timber minor forest produces are meant for sale in the market and the money earned is being used to buy essentials like salt, cloth and paying the quacks in case of illness. Regarding education, Mangu said that he has never gone to school. The health aid point is situated in the village which is run by an ANM hardly visited by a doctor who is posted in the Public Health Center about 10kms from the village along the main link road of the district. Since last couple of years the weather is at its mercy. The year 2005-06 the village had suffered due to heavy rain for about two weeks. All the filed bunds created over the last couple of years by the Village Committee were washed away. Scores of fields got sand casted. The field funds, gully plugged structures and contour bonds created to harvest water were washed out. Every year the village suffer either from flash flood or drought. Mangu says that now the rainy season begins in the month of July. It hampers to the agriculture. The flash flood during the beginning of July washes away our seeds on the nursery bed, flash flood during the fruiting brings in more pests and dry spells burns the standing crop. Mangu recalled the past incident of November2002, the rain started untimely in the month of October and continued for 6-7 days. All most all the villagers lost their whole ripe crop in this rain. Not only crop but also the forest, the agricultural land, the village road got affected. In this rain spell, Mangu lost a good part of his crop. The boundary ridge of his agricultural land washed away. He felt helpless. Many people of his village even children migrated to other places of the district in search of work. Domestic animals also suffered a lot in the absence of food. Replying the reason of acute climate change, Mangu said that we are suffering is directly linked to the forest cover of our area. High deforestation of our forest had destabilized the rain cycle as well as the natural flow of nutrients to our land has substantially reduced. 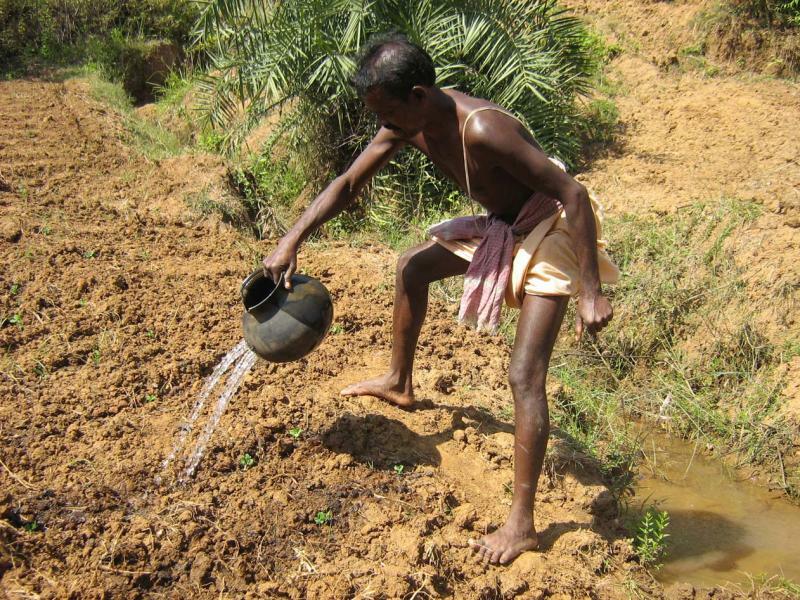 The forest used to absorb water, the water flowing through the forest used to bring fertile silt in to our crop fields. Earlier we were getting more than 80 types of fruits, vegetables, roots, green leave, mushrooms, honey, medicines and other useful things from forest. But now many of these forest produces are not available in our forest. When we discussed with VDC members, they shared the similar experience. Every year the villagers are experiencing the impact of a destabilized climate. Due to the heavy rain spell two years back, 7 persons lost their homes and stayed in village school. The health status of children also got affected due to this climate change. The VDC Secretary Ramachandra, comments that in summer the temperature goes up to 50 degree or sometimes more than that which affects the normal life of villagers. The community faces shortage of water as the pond, well water dries out and the tube wells don’t work properly. The water level goes low. Not only human beings but domestic animals like cow, buffalo died over the last couple of years and become ill. Intervention: The main challenges of these tribal communities are drought and untimely heavy rain which destroys their main source of livelihood, agriculture. In Village Development Committee (VDC) meeting, Ramachandra, the secretary of the VDC discussed these vulnerable issues of his village. With the support of ORRISSA workers, the community identified priority areas of activity to protect their environment. The Village Development Committee identified the poor persons who lost their crop due to heavy rain. Including other members of his village, Mangu was selected by the VDC and got Rs 3000/- from the VDC to develop his land which was damaged by rain. With this financial support, Mangu repaired his land. This small financial support of VDC helped Mangu to protect his crop from untimely rain & flood. To solve the food crisis problem, ORRISSA team discussed in the VDC meeting and explained the benefit of mixed cultivation and back-yard garden. This year along with 25 persons Mangu also started mixed cultivation. Replying the benefit of mixed cultivation, Mangu said that my family harvest from the mix crop field had enabled us to produce food even when the rain fails. 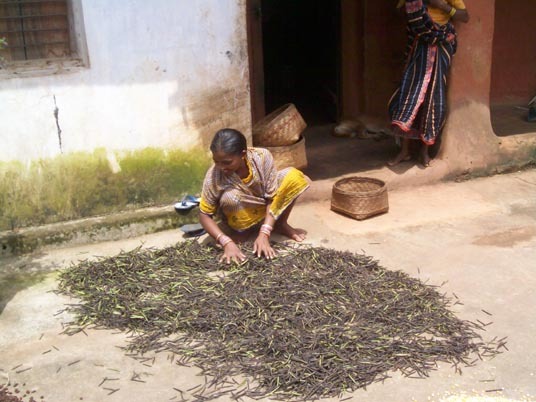 Last year the family had harvested 20 Kg of suan, 50kg of finger millet, 10kg of black gram with 12kg of Kandula (pulses) which were used during the lean season in addition to the beans, green & vegetables consumed by the family during the mansoon till winter. According to Mangu, the present year dry spell had destroyed the vegetables & green but the millets and pulses is surviving and the family would harvest some if not more than the last years harvest. VDC members have started reforestation campaign and discussed with forest department to get benefit of plantation scheme. VDC members are now discussing with nearby villagers to stop cutting trees from the village forest. Taking the lead the villagers had ensured not to put fire (as usually seen ) to the dry leaves of the forest during the autumn season. Considering the utility of the bamboo in the lives of Adivasi the villagers have also joined in the Save Bamboo Campaign initiated by the Panchayat Sangathan to stop uprooting of bamboo sprouts from the forest. The community of Gudumpadar village i saware of theeffects of climate change and learning the simple skills of facing the odds. Ganga Madkami of village Tangapalli has grown 10 varieties of crops in his medium land a traditional Kaya farmer. 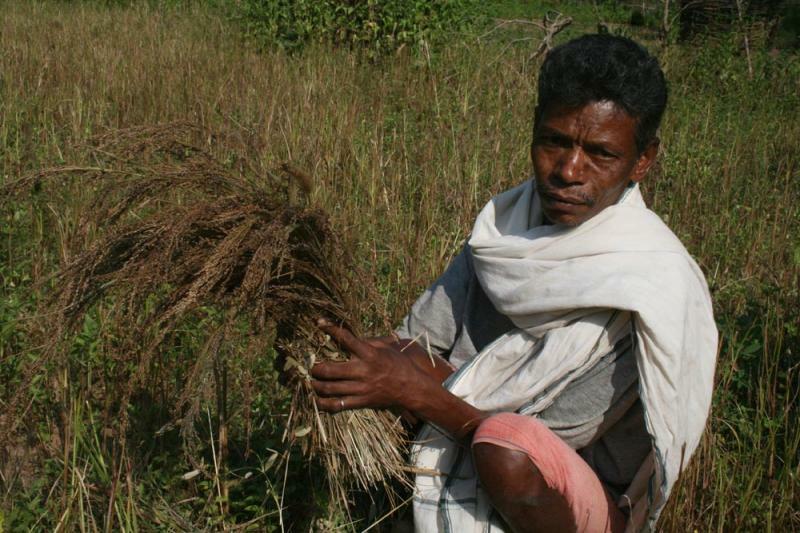 Last year Ganga produced three types of millets, 2 types of pulses, one type of oil seeds and 2 types of cereals from his 2 acre of medium land. Sabuja Padar of Ganga is highly appreciable. His wife Gangi was very happy as this mixcrop field had supplied food for the family round the year. The family produced 80 Kg. Ragi, 60 Kg. Kuajana, 30 Kg. Runner-bean (Jhudanga), 45 KG. Dangarani, 25 Kg. Blackgram, 50 Kg. Bengal gram and 60 Kg. Brinjal. After the family consumption the family yearned Rs. 3000 last year from the sale of the harvest. The seed exchange initiative of the village committee had added value to the hard efforts of Sanu Pelmal of Gajeibahal village. The entire village cherish his family backyard garden where more than 50 varieties of different types of food bearing crops are grown. Varieties of vegetable like; pumpkin, sweet potato, spinage (khoda), snake-ground, ridge ground, kunduri, brinjal , tomato, kasala, barda, ladies finger, radish, gourd, yam, elephant-yam, bean, arum, cucumber, Kankado, white-ground, runner bean, drum-stick tree, bitter-gourd are visibly grown in his 2 acre dwelling garden. The row along the fence space is effectively utilized to grow fruit bearing tress like; orange, guava, cashew nut, coconut, jackfruit, custard apple, orange, date (Khajuri), papaya, lemon, pomegranate, banana, tamarind, jujube, mango, plum (kanta kali). There are one or two spices plants those include ginger, turmeric, onion, cheramalli (local traditional spices) and chili. Interistingly the family also grow medicinal plants like; holy basil(tulsi), amala, ghee-kuari, neem tree etc and food grain like maize. Sanu is a favourite name in the locality and favoured by many for offering to sale fresh vegetables and fruits. The total earning from his backyard garden last year was around Rs. 8000 asserts his wife. The streetlights in her village have braved Balmati - the only girl at Tulasi village to dream to purse her school. Studying in classs 6th at the Salimi(26km) Ashram School. The five piller Solar Powered village street lights were a distant dream for the villagers before 2012. The 111 Durua Adivasi (Scheduled Tribe) and 19 Koya Adivasi families are content with the plenty of natural resources surrounding them. The development process have hardly touched the villagers here. Initially there were no response from the community to the OTELP plus team.